NB: The bio/bibliographical information on this site was compiled between 2002 and 2004. Many of the details recorded here are therefore significantly out of date. If you would like to email me with additions and emendations, I will be happy to post them. Alternatively, you can record new information as comments at the bottom of your page. We'd also like to add full photographic credits to any as-yet-unattributed images on the site. If you have information about these, we'd be very pleased to hear from you. The so-called “Catalogue of Ships” in Book 2 is one of the most fascinating sections of Homer’s Iliad. Generations of editors – and careful readers – have noted that it significantly contradicts other parts of the epic. In the nineteenth century, this was seen as proof of multiple authorship: the many poets hidden under the single generic label “Homer”. In the twentieth, with the rediscovery of pre-Classical Greek culture by the archaeologists Heinrich Schliemann and Sir Arthur Evans, it became clear that virtually every place listed in Book 2 has significant Mycenaean remains nearby. And this includes many sites which had sunk into obscurity by Homer’s day, five centuries after the putative date of the Trojan War. In other words, it’s a fossil: a marvellous section of verse preserved by the amber of oral formulaic recitation to go down through the centuries unchanged. It might seem a bit strained to apply this analogy to the catalogue I’m presenting here, but consider the parallels. In 1974, and then again in 2002-2004, a concerted effort was made to collect the living voices of New Zealand’s most prominent poets. Many were undoubtedly missed out on both occasions. Sometimes this was through adverse circumstances: illness, or lack of contact details. Others chose not to participate. But, in any case, very full collections were made, and have now been deposited in two of New Zealand’s great libraries: The Special Collections Department of Auckland University Library, and the Alexander Turnbull Library in Wellington. In 1974 a triple LP of selected tracks: New Zealand Poets Read Their Work (parts 1 & 2) and New Zealand Poets Read their Work for Children, was issued shortly after the collection work had been completed. The three editors, Jan Kemp, Jonathan Lamb and Alan Smythe, selected tracks by 41 of the 52 poets recorded. The entire collection of recordings was deposited in the Turnbull library at the end of this process. From 2002 to 2004, 171 poets recorded their own choice of their best work in the four major centres of New Zealand. Fuller details of the procedure are given in the Introduction to the Aotearoa New Zealand Poetry Sound Archive written by Jan Kemp and myself in 2004. Suffice it to say that a vast amount of material was collected and edited in these two years: the process of collection was initiated and organised by Jan Kemp, the editing of the sound files was overseen by Mark King, the editing of the text files by me. Our three AUP publications: Classic New Zealand Poets in Performance (2006), Contemporary New Zealand Poets in Performance (2007) and the projected New New Zealand Poets in Performance (2008) are, however, significantly different from the Waiata-stuyle publication planned by Jan Kemp and Alan Smythe in 2002. Their historical range draws on both collections, the Waiata and the AoNZPSA archives, but they also include a good deal of new material not available in either archive. So I’ve felt ever since we completed our work in 2004 that even our collaborators were not really aware of the full extent of these two collections, only very partially reflected in their published offshoots: the three 1974 LPs and the three AUP CD / text anthologies. In order to remedy this, I’ve thought it useful to provide here a complete catalogue of the contents of both archives, listed alphabetically by name of poet, but also (at the end) indexed by audio-CD number. Poets were asked to provide us with pictures, texts and bio/ bibliographies as part of the 2002-4 collection process. Most did so, and that information is reprinted here with minimal revision. I’m happy to update the bibliographies (particularly) if anyone wishes me to, but otherwise I’d like to see this collection as a diachronic section of New Zealand poetry at two crucial dates: 1974, towards the end of the 60s-70s poetic ferment here, and 2004, as a kind of backwards look over travelled roads: the twentieth century in New Zealand culture. What I’m presenting here is, admittedly, already out of date. Five years have passed since the bulk of the recordings were made for the AoNZPSA. Hence the analogy with Homer’s ship-catalogue. Out of date, yes; inconsistent with other information elsewhere in the poem, definitely – but intensely revealing to posterity in unforeseen (and probably unforeseeable) ways. No doubt further visual and audio collection efforts will be undertaken in future, but these two archives, nevertheless, have a consistency and integrity of their own. Above all, it’s important they be accessed and enjoyed, as their makers wished them to be. A bard is an oral performer, and recordings must be listened to in order to come back to life. There are 196 poets (27 of those recorded in 1974 were recorded again in 2002-4) represented here. You’ll have to go to one of the two libraries mentioned above to listen to the actual CDs, but at least you can now see what is included in this vast repository of tracks and texts and what’s not. – Jack Ross, December 2007.
and Richard Reeve with Nick Ascroft (Dunedin). 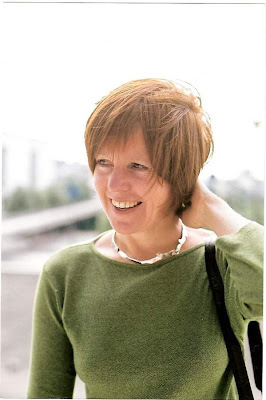 In July 2002, Jan Kemp approached Alan Smythe, the Director of SCAPA [School of Creative and Performing Arts] at the University of Auckland, about the possibility of their creating an archive of spoken poetry. 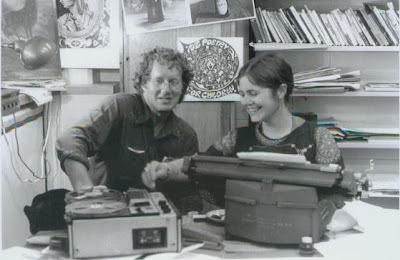 In 1974, together with Dr Jonathan Lamb, the two of them had teamed up to produce Waiata Recordings’ three LP record albums, New Zealand Poets Read their Work and New Zealand Poets Read their Work for Children, which were a sell-out success to schools, universities and libraries. The plan was to complete and release this new, updated archive by 2004, three decades post-Waiata Recordings. Jan Kemp accordingly began to compile a list of poets to invite to read. The first recordings began at the time of the AUP Seeing Voices festival in August 2002, when some poets coming from other centres were able to record at SCAPA, along with local Auckland poets. However, it soon became apparent more studios in the other three major centres would be needed to record poets locally, as no-one was able to fund trips to SCAPA solely for that purpose. So, using SCAPA as home base for the archive, Jan organised the use of regional studios (listed in the acknowledgements), as well as appointing regional co-ordinators in Wellington (Elizabeth Alley), Christchurch (David Howard and Morrin Rout) and Dunedin (Nick Ascroft and Richard Reeve). The work of collection was well under way by December 2002, when Alan Smythe’s term at SCAPA ended. 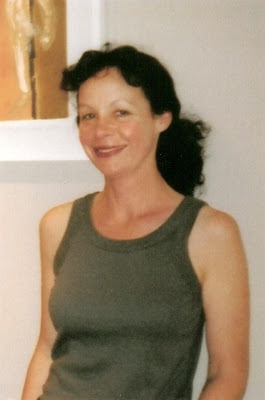 Having received a Creative New Zealand grant for the archive in mid-2003, Jan Kemp was able to invite Jack Ross to become the textual editor and later co-director of the archive. He began editing the texts of the spoken poems, and continued doing so throughout 2003 and into 2004. He was greatly assisted in this by the archive’s research assistant Edmund King, who was employed by means of a research grant for further work on the archive obtained by Associate Professor Ken Larsen, head of the University of Auckland English Department. Edmund worked on the project based in the Special Collections department of the University of Auckland Library, where all the originals of the archive will eventually be housed. Emphasis should also be laid here on the technical expertise of Mark King, from the University of Auckland’s Multimedia Teaching Support Unit, who established order in a labyrinth of sound recordings from studios all over the country. Jan assisted Mark in ensuring that the digital audio texts of the recorded poems correlate with the electronic texts and support materials compiled by Jack and Edmund. Mark was assisted in the final burning of the audio discs by Jeannette McKerchar, also of MTSU. At the time of writing, a little over two years after the idea was first broached, 40 CDs of audio tracks have been recorded and edited, 2 CDs of playlists and edited texts (incorporating 171 files in 23 alphabetical folders), photographs, biographical notes and bibliographies have been compiled for each participant. The Aotearoa New Zealand Poetry Sound Archive thus constitutes an unsurpassed body of reference material, both aural and textual, for the study of contemporary New Zealand poetry. The choice of poets was, from the beginning, intended to be as wide as possible. Everyone included has some reputation as a poet in either the written or spoken medium, but the inclusion of performance poets has meant that the requirement to have published a book or a substantial number of poems in periodicals has (in several cases) been waived. The selection of poems was left entirely up to the poets, within a loose time-frame (roughly twenty minutes apiece). It is believed that this adds extra interest to the collection, as it represents each writer’s own idea of their strongest work. Some ranged widely in time; others chose to include only their very latest poems. No introductions or parenthetical comments are included in the archive, though some have been preserved on the raw recordings which will be deposited in the Special Collections department of the University of Auckland Library with the rest of the original materials. As well as living poets, it was decided to include poets no longer living who had still been active in the last years of the twentieth century. 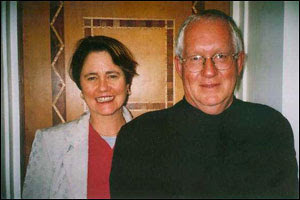 With the kind permission of Waitakere City Council and the Going West Books and Writers Festival organizers Murray Gray and Rose Yukich, as well as his literary executors Jeny Curnow, Tim Curnow and Elizabeth Caffin, Jan Kemp was able to make copies of recordings made at the festivals in 1999 and 2000 by Allen Curnow. 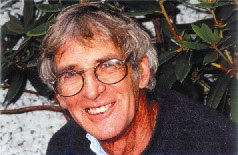 Michele Leggott, founder and director of nzepc, together with Sally Rodwell and Martin Edmond, his literary executors, kindly gave permission for recordings made by Alan Brunton to be placed in the Archive. Elizabeth Caffin of AUP kindly gave permission for recordings made by Lauris Edmond to be copied from her CD The Poems of Lauris Edmond (Auckland, AUP, 2000). In addition, Frances Edmond, Lauris’s daughter and literary executor read a selection from Late Song, (Auckland, AUP 2000) Lauris’s last published book of poems. 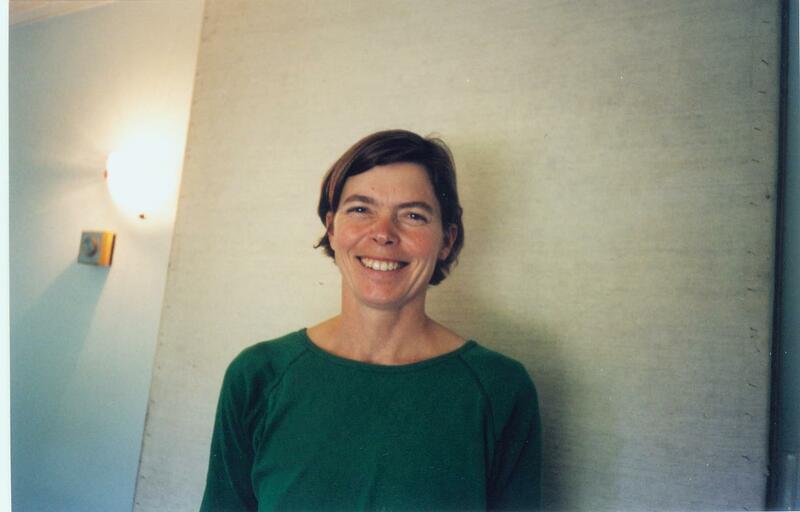 Margaret Edgcumbe gave permission for recordings of poems read by Kendrick Smithyman in a video interview with Peter Simpson and Mac Jackson, Closing the Chocolate Factory (Auckland, December 1995) to be copied. • a copyright sheet, including publication details for each of the poems. Those with access to computers were also asked to send a floppy disc with these materials in electronic form, the intention being to make a CD of text files to match the 40 CDs of audio tracks in the sound archive proper. It seemed desirable that these texts should be saved in a uniform format for ease of consultation. Times New Roman 12-point type was chosen, as the most standard font available. Extremely narrow margins were also used to allow maximum space for long-lined poems. Every endeavour has, however, been made throughout to preserve any distinctive spacing and orthographical pointing (italics, bold or capital letters) in the original texts. Then come the texts themselves, with a page-break after each poem, then the brief bio-biblio. The scope of the project is a little difficult to grasp at first glance, so a tabular break-down has been provided. There are 171 poets, arranged in 23 alphabetical folders (no surnames begin with U, X or Z). The more-than-2,000 tracks have been edited into 3,000-odd pages of electronic text – by far the largest anthology of New Zealand poets and poetry ever compiled. • The material will only be made available within a library under the supervision of a librarian for the purposes of research and private study. • Copies of works will only be made by library staff after satisfying themselves that the request falls strictly within the “private study and research” category. • No other copies of any works in the Archive may be made without the written permission of copyright owners. Thanks also to those publishers who have granted permission for this reproduction of previously-published work. Every effort has been made to trace the latest copyright holders, but if any omissions have been made in this regard, we will be happy to deposit any revised information communicated to us with the rest of the copyright documentation held in the Special Collections department of the University of Auckland Library. Diverse Studios used by poets in Australia, Japan, the Netherlands and U.S.A.
Other advisors at various stages of the project have included Michael Sumpter, Richard Niven, Grant Wills and Melanie Johnson. © copyright 2004 Aotearoa New Zealand Poetry Sound Archive. Fair dealing and educational use under copyright laws permitted. All other rights reserved. • 12 Taonga from the Aotearoa New Zealand Poetry Sound Archive. • or in Peter Simpson’s article “You have 2100 new messages: The making of the Aotearoa New Zealand Poetry Sound Archive.” NZ Listener (September 11, 2004): 44. Fleur Adcock was born in Papakura in 1934. At the age of five, she moved with her family to England, where she ‘went to eleven schools in seven and a half years’, before returning to New Zealand in 1947. She attended Wellington Girls’ College, and, later, Victoria University, from which she graduated M.A. (first class honours) in Classics. After moving to Dunedin in 1958, she lectured briefly in the Classics Department at Otago University, after which she worked as a librarian. She had a number of poems published in Landfall in the late 1950s and early 1960s; her first volume appeared in Wellington in 1964. By this time, however, she had emigrated to the U.K., where she worked at the British Foreign and Commonwealth Office for sixteen years, before resigning in order to write full-time. In Britain, she has said that she ‘had to start again’ as a poet, submitting to British poetry magazines and attending readings and workshops before becoming established in the 1970s. During this time, however, and through the 1980s, ‘90s, and beyond, she maintained links with the New Zealand literary scene, seeing poetry published in, among other places, Landfall, Islands, The New Zealand Listener, and JAAM, and reviewing the work of New Zealand writers in British journals and newspapers. 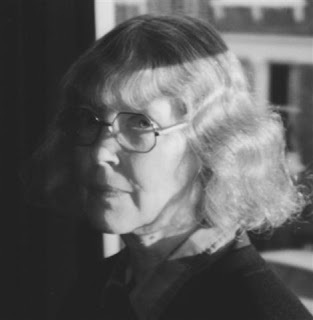 Since becoming a full-time writer in 1979, she has, in addition to publishing ten volumes of poetry, reviewed widely, held a number of writing fellowships at British Universities, written and broadcasted for the BBC, edited poetry anthologies, and translated Romanian and Medieval Latin poetry. She was awarded an O.B.E. for services to literature in 1996. She has two sons, five grandchildren, and one great-grandchild. Born in Birmingham ,United Kingdom in 1945. Travelled to Dunedin New Zealand with my parents and sisters in 1960, where I attended Otago Boys High School and the Otago University. Trained as an educational psychologist and teacher. Started to write poems in my twenties and was published in my thirties and forties. First book of poems Karitane Postcards published in 1992. Married and separated with three sons. Teaching deaf students in Otago schools. Several more poetry books are intended. Published in Landfall, Sport, NZ Listener, Poetry Australia, Descant (Canada), Meanjin (Australia ), Glottis, Critic, Rimu, PPTA Journal, Takahe, Poetry NZ, Printout. Antipodes New Writing (1987), North & South, Poetry Australia (1987), Descant (Canada, 1989), Penguin Contemporary New Zealand Poetry (1989), Visions International (USA 1992), Oxford NZ Poetry ( 1994), From the Mainland ( Eds. Jones and Murray, 1997), Doors ( Ed Locke, 2000), Jewels in the Water ( Ed Locke, 2000). Creative NZ Grants 1989 $4500, 1999 $9000, received with thanks. Kenneth Owen Arvidson, born in 1938, named after grandfather Knut Otto Arvidsson, is married to Mary Southby. He has three children, two of them by an earlier marriage, and five grandchildren. 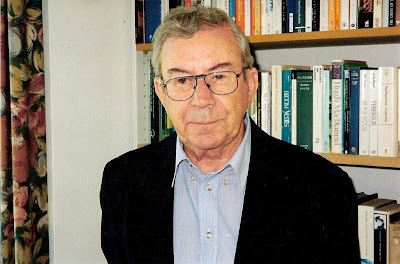 From 1956 he studied part-time at the University of Auckland, firstly in science, graduating BA in 1963 in English, German and Philosophy, and MA in 1966, in English. Early poems appeared firstly in Kiwi, and from 1963 in Landfall. 1961-63 taught senior English at St Peter’s College, Epsom. 1964-66 Junior Lecturer in English, University of Auckland. 1967-70 Lecturer in English, Flinders University, Adelaide. 1971-74 Lecturer in English, University of the South Pacific, Suva. 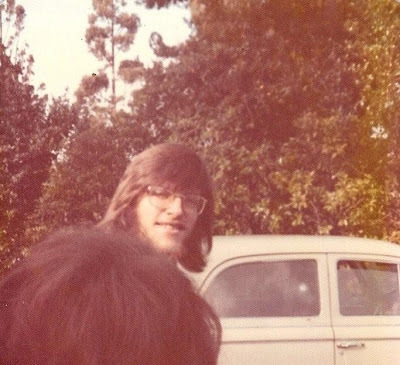 1974 Lecturer in English, University of Waikato. 1984 Associate Professor of English. English Department chairman 1984-1989 and 1993-95. 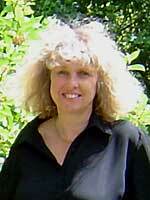 2002- Research Associate, University of Waikato. Main teaching and research areas: Victorian literature, Modernism, History and Theory of Criticism, New Zealand literature, Australian literature, Pacific literature and culture, and Irish literature. 1963 Macmillan Brown Prize for Literature (poetry). 1973 Examiner in English for the South Pacific region, NZ UE Board. 1977 Took part in the East-West Center (Honolulu) International Literary Symposium at invitation of US State Department. 1980- Professional Associate, East-West Center, Honolulu. 1981 Poetry judge, National Book Awards. 1982 Fiction judge, National Book Awards. 1982- Editorial Board, Journal of New Zealand Literature. 1986-87 Associate Member, Darwin College, University of Cambridge. 1987 Presented “An evening of NZ poetry”, NZ Embassy, Washington DC. 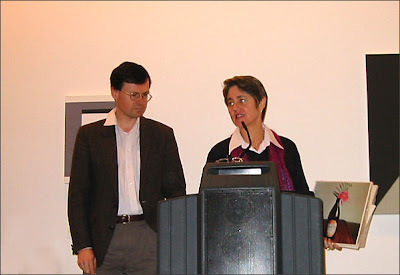 1993 Judge, BNZ Katherine Mansfield Award. 1994-96 Chairman, South Pacific Assn of Commonwealth Lang and Lit Studies. 2001- Editor, Journal of New Zealand Literature. Publications include Riding the Pendulum: Poems 1961-69, OUP (Auck) 1973, and editions of John Gorst’s The Maori King, Reed 2001, and The Selected Poems of Lauris Edmond, BWB 2001. Poetry has appeared in Landfall, Islands, Mate, Comment, Meanjin, NZ Poetry Yearbook, Poetry Australia, Poetry NZ, and Sport. Poetry has been anthologised in Young Commonwealth Poets, Anthology of 20th Century NZ Poetry, NZ Writing Since 1945, Penguin Book of NZ Verse, The Oxford Book of NZ Poetry in English, NZ Love Poems (Bertram, Edmond), and Essential NZ Poems. A further volume of poetry is in preparation. 5. The Making of Some by Dogs & Versa. Nick Ascroft was born in Oamaru in 1973 and educated at the University of Otago. He is the founding editor of Glottis, has been a guest editor of Takahe, and has edited the Otago University Students’ Association literary review. 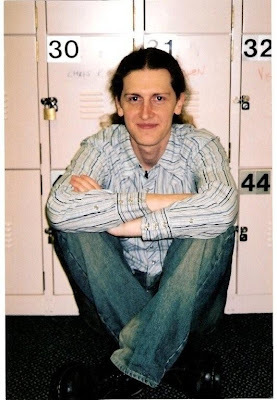 In the first half of 2003, he was Burns Fellow at the University of Otago. 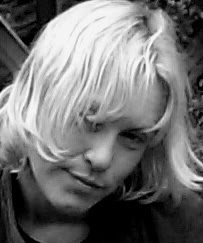 His poetry has appeared in Trout, JAAM, Southern Ocean Review, Takahe, Glottis, Poetry NZ, the Listener, Sport and Landfall. He is a regular contributor of reviews, criticism and interviews to various publications and frequently performs his work in Dunedin. 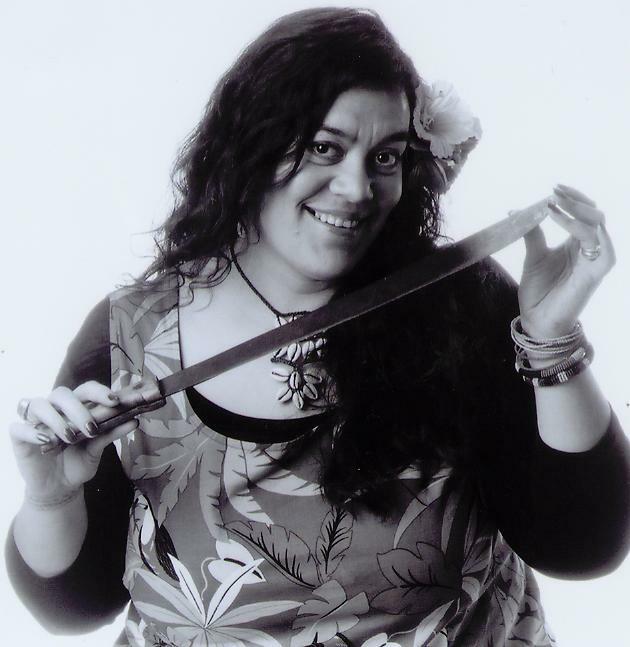 This year (2003) I've participated in the Lopdell House collaboration and exhibition/performance between artists and poets and had a couple of poems published in Whetu Moana – Contemporary Polynesian Poems in English, edited by Albert Wendt, Reina Whaitiri and Robert Sullivan. AUP 2003. Helen Bascand is retired, lives in Christchurch NZ and enjoys the active poetry community. She has written poetry from her early days but more seriously since the 1980’s. By 1994, Helen had developed an interest in the haiku form. She was the winner of the haiku section of the 2000 NZPS International Poetry Competition. She is also represented in the Christchurch Haiku & Haibun Anthology – listening to the rain – published in 2002. Her poetry has appeared in The Press and several poetry magazines and anthologies, and her first collection of poetry, Windows on the morning side – which includes a haiku & senryu section— was published by Sudden Valley Press in 2001. Helen’s background training was in primary education and when her mothering years were nearly completed, she returned to train for Education of the Deaf – an excellent preparation for what became her later work with the Special Needs Library. 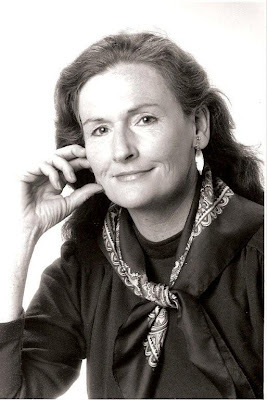 [Postscript: Helen Bascand died on April 27, 2015]. Living in the desert, Pueblo, New Mexico. 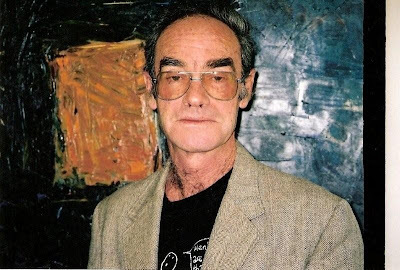 James K. Baxter was born in Dunedin, the son of pioneering pacifist Archibald Baxter, author of We Will Not Cease (1939), and Millicent Brown, daughter of Professor John Macmillan Brown. These two sides of his personality, the idealist and the intellectual, warred in him for the rest of his life. His first book of poems, Beyond the Palisade, was published in 1944, and he was immediately hailed as a wunderkind. 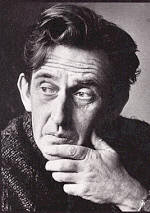 From then until his death in 1972 there was never a moment when he was not at the forefront of New Zealand literary life – in Christchurch in the late 40s, in Wellington in the 50s, and (most famously) as a commune organizer at Jerusalem on the Whanganui River in the late 60s and early 70s. Out of this came his most famous (and arguably his finest) book, the Jerusalem Sonnets (1970). As a critic, dramatist, social commentator, Baxter published widely, but his monument remains that amazing profusion of poems, which continue to address issues of race, class, and spirituality of vital concern to all New Zealanders. His Collected Poems appeared in 1980, followed by Collected Plays in 1982. His critical prose has been assembled in James K. Baxter as Critic (1978). Beyond the Palisade. Christchurch: Caxton Press, 1944. Blow, Wind of Fruitfulness. Christchurch: Caxton Press, 1948. The Fallen House. Christchurch: Caxton Press, 1953. In Fires of No Return. London: Oxford University Press, 1958. Howrah Bridge and Other Poems. London: Oxford University Press, 1961. The Rock Woman: Selected Poems. London: Oxford University Press, 1969. Jerusalem Sonnets. Dunedin: Bibliography Room, University of Otago, 1970. Jerusalem Daybook. Wellington: Price Milburn, 1971. Autumn Testament. Wellington: Price Milburn, 1972. Runes. London: Oxford University Press, 1973. The Labyrinth: Some Uncollected Poems 1944-1972. London: Oxford University Press, 1974. The Tree House and Other Poems for Children. Wellington: Price Milburn, 1974. The Bone Chanter: Unpublished Poems 1945-1972. Edited by J. E. Weir. Wellington: Oxford University Press, 1976. The Holy Life and Death of Concrete Grady: Various Uncollected and Unpublished Poems. Edited by J. E. Weir. Wellington: Oxford University Press, 1976. Collected Poems. Edited by J. E. Weir. Wellington: Oxford University Press, 1980. Selected Poems. Auckland: Oxford University Press, 1982. The Essential Baxter. Edited by J. E. Weir. Auckland: Oxford University Press, 1993. Cold Spring: Baxter's Unpublished Early Collection. Edited by Paul Millar. Auckland: Oxford University Press, 1996. Collected Plays. Auckland; New York: Oxford University Press, 1982. 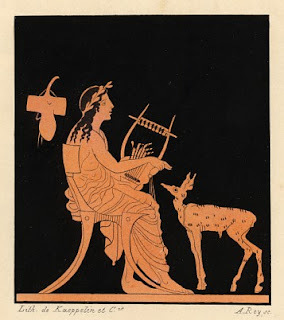 James K. Baxter as Critic: a Selection from his Literary Criticism. Edited by Frank McKay. Auckland: Heinemann Educational Books, 1978. 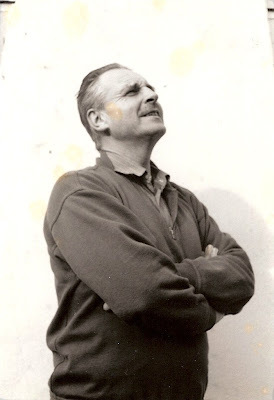 Spark to a waiting fuse: James K. Baxter's correspondence with Noel Ginn, 1942-46. Edited by Paul Millar. Wellington: Victoria University Press, 2001. Oliver, W. James K. Baxter: a portrait. Wellington: Port Nicholson Press, 1983. 5. United Nations – domestic-style. Claire Beynon was born in South Africa and studied Fine Arts there and in London (additional subjects included History of Art, English and Latin.). She and her family discovered New Zealand in 1994, and have lived and worked in Dunedin these past eight and a half years. A fulltime artist, Claire works in a studio overlooking the Otago harbour and peninsula. Her first solo exhibition was held in 1983 and she has exhibited regularly since then, with shows in New Zealand, South Africa, Australia, the United Kingdom and the People’s Republic of China. She also writes poetry and short stories. These have been published in journals, newspapers and collections here and overseas. Her poem "The Mystery Sonatas" won first prize in the 2002 New Zealand Poetry Society's International Competition. "Point of Entry" was runner-up in the 1999 Sunday Star Times Short Story Competition, "Introducing Deirdre" was highly commended in the 2000 Takahe Short Story Competition and "Trapeze Artist" was short-listed in the South Island Writer’s Association short story competition in 2000. She is currently working on Fire, a first collection of poetry and images. The Christchurch Press, Tandem Press’s 100 New Zealand Short Short Stories IV, Glottis, The Sunday Star Times, The Whole Wide World, Tapping the Tank and A Savage Gathering (New Zealand Poetry Society’s Anthology 2000, 2001 and 2002), Double-jointed (a collaborative book of ‘dual’ poems by Jenny Powell-Chalmers and ten other South Island poets: published by Inkweed, 2003), Chicken Soup, USA, The Song of the Belly-button Man (an Artsenta production of images and poems 2002), the forthcoming anthology of Dunedin-based poems (suggested title ’Words with Robbie Burns,’ Otago University Press, 2003). A member of the New Zealand Society of Authors and the New Zealand Poetry Society, Claire also belongs to two active writing groups in Dunedin and has participated in various performance-related events. These include Glottis’ informal Monday evening poetry sessions (Fuel and Arc cafés, Dunedin), and performances as part of the Otago University’s Woman’s Festival 2001 and the United Nations Dialogue Amongst Nations 2001. Cover and artwork for poetry collection A Talent for Flight by Otaki poet Glenda Fawkes. (Published in March 1999 by Steele Roberts Ltd., Wellington. 12. Do You Remember …? Graham Bishop was born in Wellington in 1938. When he was in his early teens, he moved with his mother and sister to Dunedin, where he attended Otago Boys’ High School and the University of Otago. After graduating with a Masters’ degree in geology, Bishop was accepted into the Ph.D. programme at the University of Sydney. However, for ‘various reasons’, he did not stay to complete his degree, instead returning to New Zealand to work as a field geologist with the New Zealand Geological Survey. In 1967, he enrolled in a doctorate at the University of Otago. In the two decades after graduation, Bishop published numerous scientific papers (many drawing upon field work he had undertaken for his Ph.D.) and continued working with the Geological Survey for which he surveyed and produced maps. He also published several books relating to his interests in mountaineering and glaciology. When he was 45, Bishop was diagnosed with bipolar affective disorder. In the early 1990s, he descended into a prolonged manic depressive cycle, during which time he was admitted several times to psychiatric hospitals. He also suffered a major stroke. It was at this time that he first began seriously writing poetry. In the mid to late 1990s, following divorce and redundancy, he was admitted once more to Waikari psychiatric hospital, near Dunedin. His book, Poles Apart: a Touch of Madness (2000), documents his response to these experiences, combining prose autobiography, poetry, and case history with a personal critique of the psychiatric establishment. Jenny Bornholdt was born in Lower Hutt in 1960, and educated at Victoria University and Wellington Polytechnic. 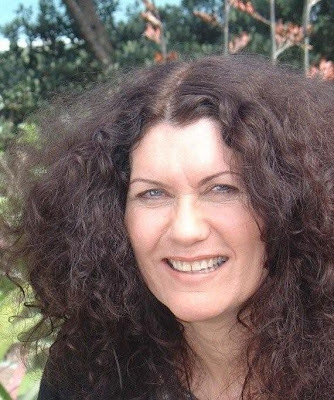 An interest in writing led her to take Bill Manhire’s creative writing course at Victoria University in 1984, after which her work started to appear regularly in literary journals. In 1988, her first collection of poetry, This Big Face, came out with Victoria University Press. Since then, there have been five further collections (all with Victoria University Press), several pamphlets, and a selected works: 1997’s Miss New Zealand. She has also been an anthologist, co-editing (with Gregory O’Brien) a collection of New Zealand love poems, My Heart Goes Swimming (Godwit, 1996) and the 1997 Oxford Anthology of New Zealand Writing in English, with O’Brien and Mark Williams. 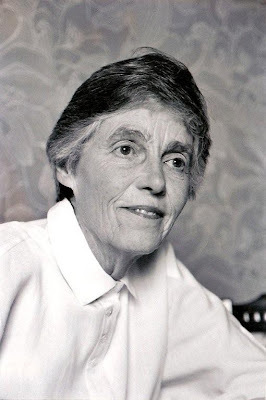 In 2002, she was awarded the Katherine Mansfield Fellowship to Menton. Bornholdt lives in Wellington, where she has worked as a journalist and copywriter.